All Trust members have a strong connection with the College either as former students, parents of students or Governors. The trust is also supported by the College Principal and Bursar. Our 8 members have diverse backgrounds in areas such as commerce and governance and can each bring expertise in their field to help the Trust meet its aims. 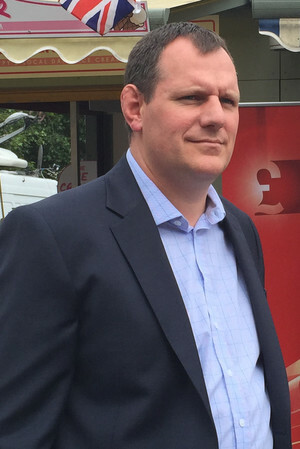 Edward Miles is Chair of the Trust. He was a Boarder in Fry House from 83-88 (Peel 88-90). He has extensive business experience, is currently a Director of a local business consultancy and has volunteered extensively at the College over the last 5 years. “Having been a trustee I was elected as chairman in 2016 with a vision of developing the trust to significantly increase its financial contribution to students and enhancing college life." Cases of student hardship occur regularly at the College, through no fault of the student. These often cannot be resolved through conventional channels and the Trust is the last hope for these students to continue their Wymondham education. Your help is absolutely vital, put simply we promise it will not be wasted – every penny donated (and more if you complete the Gift Aid declaration) will go directly to support those most in need. We believe that a large body of people making small, regular donations can make a huge difference. Your support can directly make a difference to families, ensuring their children can continue their education at the College. Each year we receive numerous requests for support from existing and new students whose families are facing hardship due to unexpected challenges like redundancy, divorce or bereavement. Our initial goal is to aim for 250 donors contributing £10 per month which will provide an incredible £30,000 per year, making a crucial difference to so many young people. Of course we realise that it is not practical for many Old Wymondhamians and friends to offer Wymondham College financial support during their lifetime. A bequest may be easier or more appropriate in the circumstances. We do hope that you might be able to consider just how much your life has been positively influenced by your connection with Wymondham College. If you feel you could do something to help future generations we should be delighted to hear from you. To everyone who donates to the Hardship Fund – a sincere thank you, and please, please keep donating. It really does make a huge difference. You can now donate to the hardship fund online with the following options. Clicking on the links below will direct you to Go Cardless to set up a direct debit or one-off payment to the Wymondham College Trust. We are using Go Cardless as it is simple to administer and low-cost and they take payments from Europe too. Thank you for donating to the Hardship Fund. We really do appreciate your generosity. Once you have completed your donation details we shall send an acknowledgement of your kind donation, together with a gift aid form separately. Gift aid enables us to claim an extra 25% on top of your donation at no extra cost to you. "As I’ve reached my more mature years I’ve reflected on my time at Wymondham College and what an impact it had on my life and career. The opportunities afforded to me by the College and the lifelong friends I made make me realise how privileged I was. That is why I am supporting the Hardship Fund and I hope that others less fortunate can benefit too." "It was a really difficult time in my life. My family were struggling financially and had to move house after my father became very ill. It would have been very easy to give up on my schooling. However with the amazing support from College Trust I managed to keep going and I am now pursuing my dream of becoming a teacher." "There is no doubt that without the financial support from the College Trust my daughter couldn’t have stayed and completed her exams this year.I’m immensely grateful, this had made a world of difference to our family."